Ypsilanti's city council amended its human rights ordinance to include immigration and gender identity. WEMU's Jorge Avellan reports on the Ypsilanti City Council's amending its human rights ordinance. That means residents can now file complaints with the city if they feel their human rights were violated for being an immigrant or because of the gender they identify with. The Human Relations Commission has the ability to litigate a civil suit and fine up to $500 for a violation. Ypsilanti Mayor Amanda Edmonds explains why the city made the change. "We saw since the presidential election in November--you look at the data that's come out nationally--Michigan has had one of the highest rates of harassment, hate crime instance, et cetera. That is not okay." The city will also host a public hearing on January 24th for another ordinance they're considering to restrict the solicitation of immigration status. The City of Ypsilanti will start the New Year looking for ways to improve its financial crisis. WEMU's Jorge Avellan reports on how the City of Ypsilanti hopes to fix its financial crisis. The Ypsilanti City Council has called a special meeting for early next Tuesday to decide whether or not to put the Water Street millage issue before voters once again in November. WEMU's Lisa Barry reports on an Ypsilanti city council meeting that will address placing the Water Street millage on the November ballot. 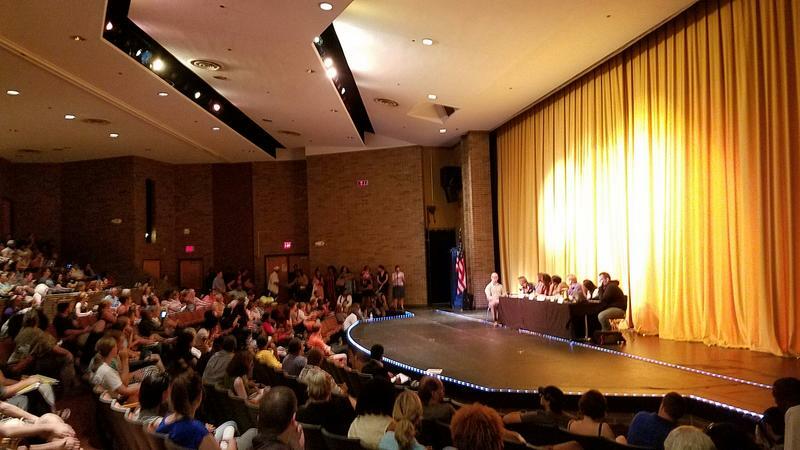 Hundreds of Ypsilanti residents filled the city’s high school auditorium Monday night for a community forum on policing and violence. 89.1 WEMU's Amanda LeClaire reports on a community policing forum in Ypsilanti.